Welcome to TePe Sigeman & Co Chess Tournament! The tournament will be held at Malmo Live in the centre of Malmo, and this year the dates will be 3–9th May. The tournament will be broadcasted on web TV, and your hosts will be GM Yasser Seirawan and GM Stellan Brynell. Read about the participants here. The organizing club Limhamns SK wishes to welcome everyone to a new chess party in Malmo. The tournament would not have been possible without the support of the law firm Sigeman & Co, and the company TePe – Sweden’s leading manufacturer of dental products. 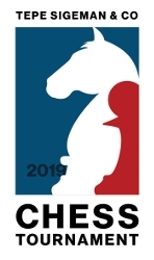 The organizing club Limhamns SK welcomes the players, spectators, sponsors and media to TePe Sigeman & Co Chess Tournament at Malmo Live in Malmo, on the 3-9th of May. We would like to thank TePe, Sigeman & Co, Malmö Stad and all other sponsors for making this possible! We will soon be ready for the first move!